Our Pillow sleeves are light blue in colour, and constructed from a non-woven, spunbond polyethylene..
Stretcher Sheets are white and constructed from a non-woven, spunbound polyethylene fabric. 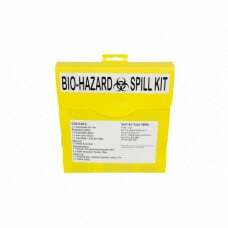 ..
BIO-HAZARD Spill Kit Spill Kit type: Unknown small spills. Application: Hospital..